Tao Lin’s Taipei reviewed: techy, drug-fueled, existential fiction. 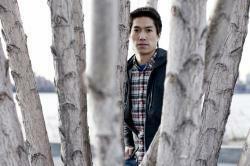 The techy, drug-fueled existentialism of Tao Lin. Hemingway said that a great short story is like an iceberg, hiding the bulk of its subtextual mass and meaning beneath the surface. A story by Tao Lin—the divisive, 29-year-old author of Richard Yates and several other books—is like a buoy in the distance, its exposed belly floating above the water, never straying too far in any direction. The mystery is what, if anything, it’s moored to, and how deeply. His detractors—of whom there are plenty, thanks to his notoriety among a mostly young and largely New York City–based literary set—say there’s little beneath the surface at all. These critics point to Lin’s history of self-promotional antics—sticker-bombing Gawker’s front doors, selling $2,000 shares in an unpublished novel—as evidence of the ultimate “unseriousness” of his work, dismissing his considerable output as millennial narcissism. His fiction, too, can appear gimmicky and needlessly attention-grabbing: Yates, his 2010 novel, is provocatively and mysteriously named after the author of Revolutionary Road, depicts an illicit (and transparently autobiographical) affair between a 22-year-old writer and his 16-year-old lover, and calls those protagonists Haley Joel Osment and Dakota Fanning (again, provocatively and mysteriously). But the problems that the oddly named couple faces are portrayed with refreshing directness and honesty, even as their world—like the stripped-down prose used to describe it—becomes progressively claustrophobic and oppressive. Better and more enjoyable is Lin’s novella Shoplifting From American Apparel (2009), which reads in style and tone like a companion piece to Yates but is sharper and funnier, the aimless wanderings of its protagonist from library to Whole Foods to holding cell—and his yearning for human connection along the way—more suitably contained in a brisk 112 pages. Both books depart from the entertaining, overstuffed style of Lin’s previous fiction, the story collection Bed and the novel Eeeee Eee Eeee (both 2007), written in what Lin has called a “Lorrie Moore style” that feels at once braver and less assured. These books leap around in time and shift perspectives; they’re full of inventive imagery and passages that turn mundane thoughts into skewed meditations. The more Hemingway-ish “concrete/literal style” that Lin subsequently adopted is a deliberate restraint of such writerly gifts. Taipei, Lin’s first novel with a big publishing house, synthesizes these two styles. It traces roughly 18 months of a young writer’s local and international meanderings. With its casual drug use and tabloidy feel (a diligent Googler could probably identify many of the characters depicted, often young writers like the author), it may strike the anti-Lin contingent as more of the self-aggrandizing same. Yet despite Lin’s frequent efforts to put himself in the public eye, his fiction has become most conspicuous for what it refuses to show—and Taipei casts a surprisingly introspective eye on the spare, 21st-century landscape Lin has such a knack for depicting. Did I mention drugs? There are drugs, lots of them. But while rampant and instructionally varied—they include “Ambien, Seroquel, LSD, Adderall, Oxycodone, cocaine, Flexeril, Percocet, psilocybin mushrooms, and codeine,” as Dwight Garner helpfully listed in the New York Times—the drug use isn’t terribly glamorous (unless vomiting in a taxi on the way to live-tweeting a movie is your idea of a wild night). It feels odd to downplay the licking of cocaine from another person’s testicles, but the book contains perhaps the least lurid account of that act that it is possible to write. The characters in Lin’s previous work often hid behind their digital avatars—on Gchat, on Twitter, on blogs—as a way of furtively connecting. In Taipei, drugs are a kind of toll they pay to engage with each other in the physical world. After a while, the drugs become cultural wallpaper, like the books the characters reference or the smartphones they carry. Nothing great happens; nothing terrible either. Late in the book, Paul says of his drug use, “I think it’s sustainable, as long as I’m healthy.” You almost believe him. There is some shock value in this blasé attitude, as there was in the uncomfortable (and, in some states, legally dicey) central relationship of Yates. But shock isn’t the point. On ecstasy their first night in Taipei, the frightening newness of their relationship still plainly obvious, Paul and Erin explore the city and video themselves in a long, extended take. The exchange is oddly riveting, as are their deeply personal questions—about ex-lovers, sexual compatibility, body image—negotiating the thin line between curiosity and plain insecurity. “You seem to encompass major things of what I want, in ways I feel like only segments of other people … have,” Paul confesses to Erin in his halting, stilted manner. Pages later, Erin asks, “What is my body … do you have problems with my body? … If you don’t you can … something.” Paul tries to reassure her, but fails; if he were with someone with an “ideal” weight, he says, “I would find some other neurotic thing to focus on.” The euphoric highs and crushing comedowns caused by the substances they take gradually fall in rhythm with the trajectory of their faltering relationship. Paul drifts mutely in and out of rooms, falling asleep in the middle of dance parties or escaping awkward dinners, his presence, or lack thereof, barely registered. Peripheral characters feel similarly insubstantial, introduced with only an age and credential. Paul meets his “literary acquaintance Anton, 23,” waits for “Juan, 24, an MFA student in fiction at NYU,” and later is interviewed by “Alethia, 22, who had published around six hundred articles since leaving college two years ago to write for Toronto’s leading alt weekly.” It’s as if, to conceal them, Lin has filed down the entire person along with their fingerprints. This can be frustrating early on; it’s difficult to remember, or even care about, a string of mostly indistinguishable characters. 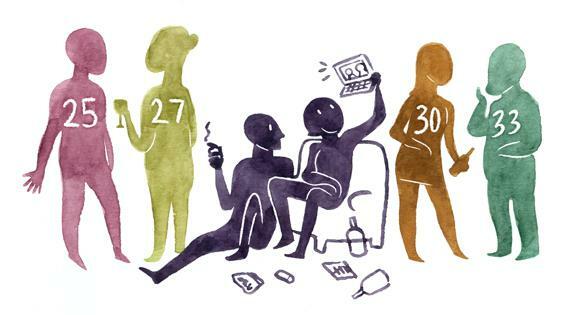 But it eventually becomes amusing, as it begins to seem like a wink at our youth- and status-obsessed times—a bit like the äppärät device that characters carry in Gary Shteyngart’s Super Sad True Love Story, which helpfully provides a “hotness” quotient. But if Paul distills others into these atomic stats, “a kind of placeholder, auxiliary to an idea of a person,” as he says at one point, he stops well short of condemning others for doing the same. Lin isn’t particularly concerned with how individuals find, or are denied, social acceptance. For a novel titled Taipei, in which the protagonist sometimes lingers on memories of his immigrant parents or of previous visits to the titular city, issues of identity and race also remain purposefully unexamined. Even when Paul and Erin wander the streets of Taipei, their ethnic relationship to the local population ostensibly reversed—her ethnicity, like everyone else’s, isn’t specified, though she doesn’t speak Mandarin, and Paul does—cultural and racial dislocation is never a source of conflict, never connected to anyone’s sense of alienation. Lin seems to ignore these questions as a way of setting everyone on the same plane, withholding judgment, denying easy justifications. His characters are all alone and adrift for the same basic human reasons. Lin neither satirizes his characters in the manner of Bret Easton Ellis, a writer to whom he’s often compared, nor exalts them as bohemian heroes, in the style of, say, Jack Kerouac. No one is special. No one is exempt. Lin is an existential writer, really, less interested in tracing the contours of his particular social group than in describing the very personal and sometimes unbearable tyranny of one’s own mind—and what it requires (sometimes measured in mg doses) to venture out in search of others. In the novel’s climactic scene, Paul, after taking psilocybin mushrooms with Erin, believes he has overdosed and died. It’s by turns terrifying and funny—at one point Paul wonders how he could have forgotten an escalating heroin habit, which is, in fact, itself just a hallucination. His low-level freakout over his imagined death builds over a few pages to a revelation that, in its sheer unexpected beauty, recalls the powerfully moving ending of David Markson’s Wittgenstein’s Mistress (a novel that takes the theme of negation and solipsism to an extreme in quite a different way). I don’t want to spoil either ending here; they’re both worth encountering on one’s own. Taipei has its flaws—scenes in the first act can feel repetitive and drawn out, as if overly faithful to the author’s memory, and some sentences are weighed down with adverbial excess. But if there are still a few kinks to be worked out in the prose, there is also a purposeful maturity, and even a subtle warmth, on display. Lin asks us to take greater care with the messages we leave one another, lest we all forget what it feels like to be heard. Taipei by Tao Lin. Vintage.